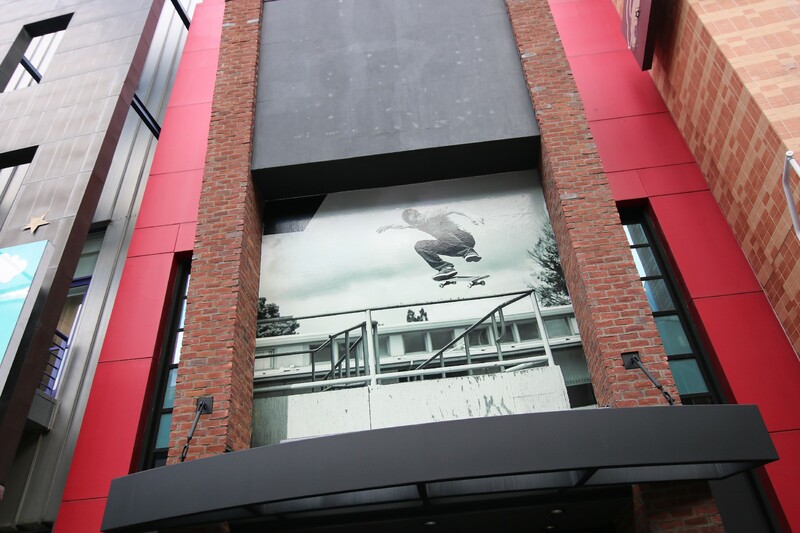 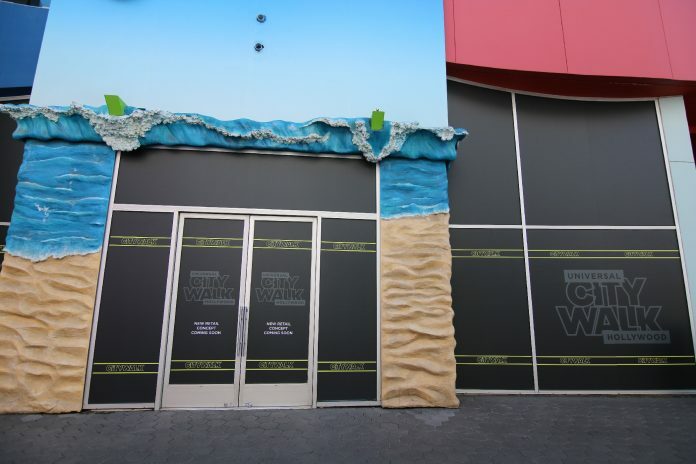 Change remains stagnant at the former locations of the Flip Flop Shop and the Element apparel store, respectively. 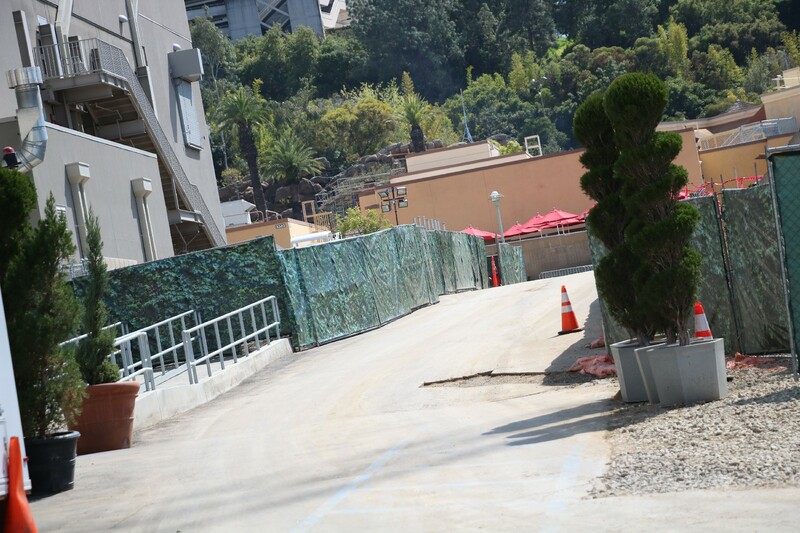 No announcements have been made regarding their future replacements as of the time of this update. 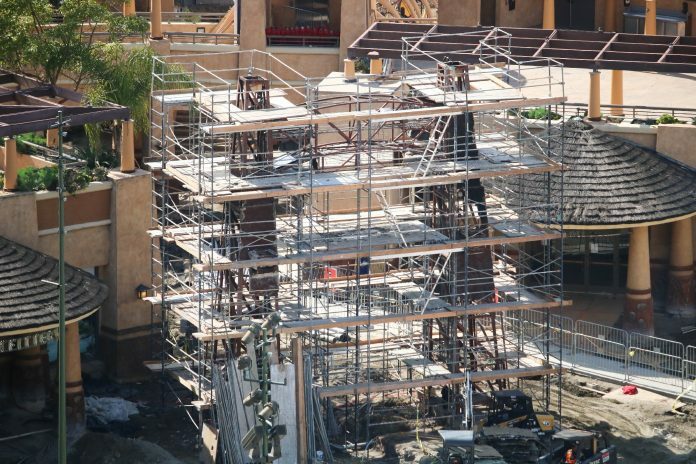 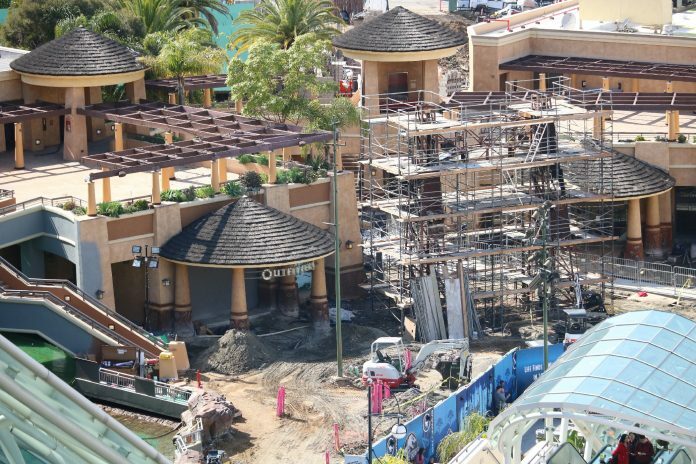 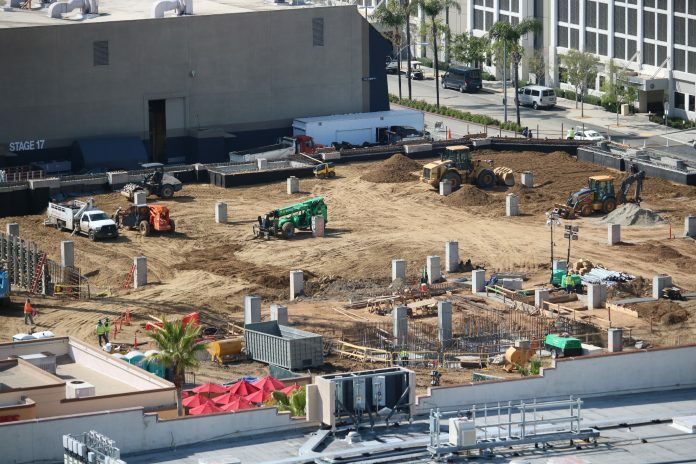 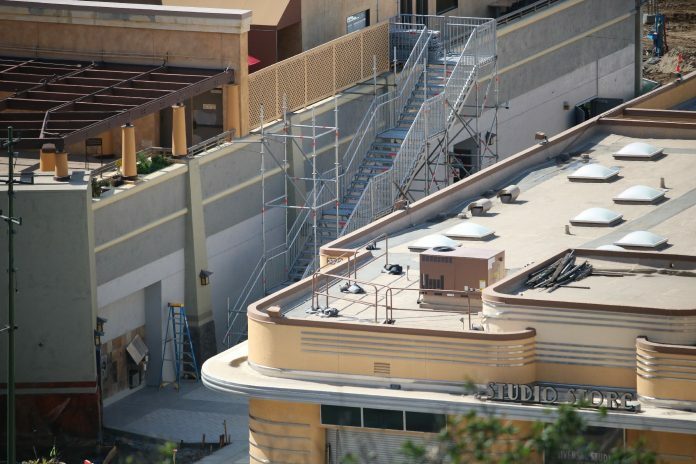 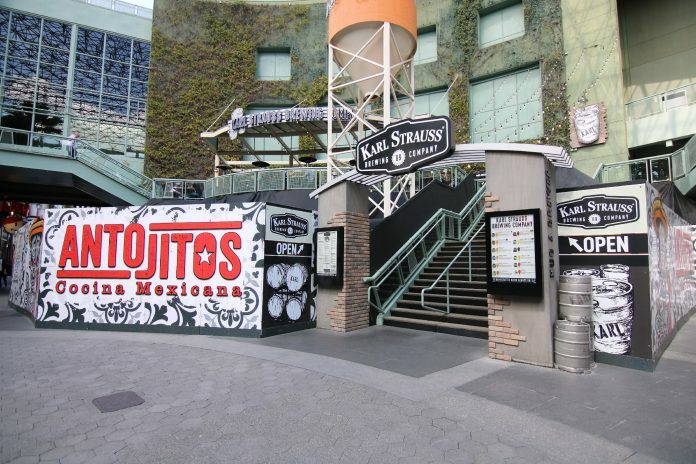 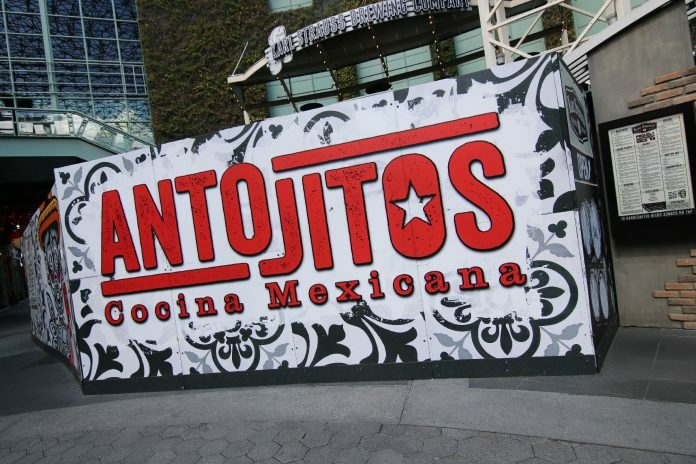 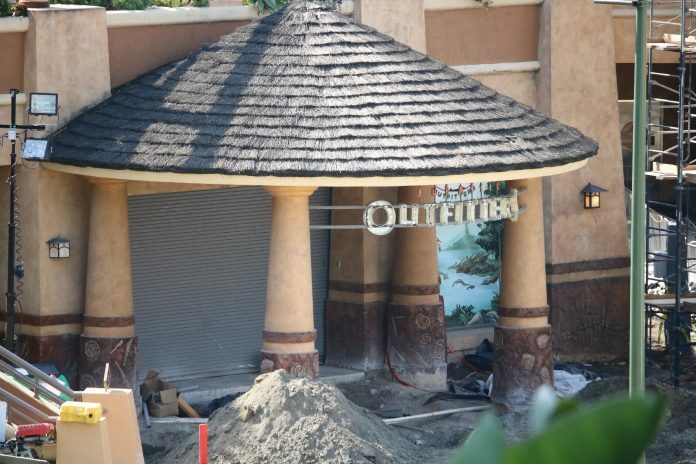 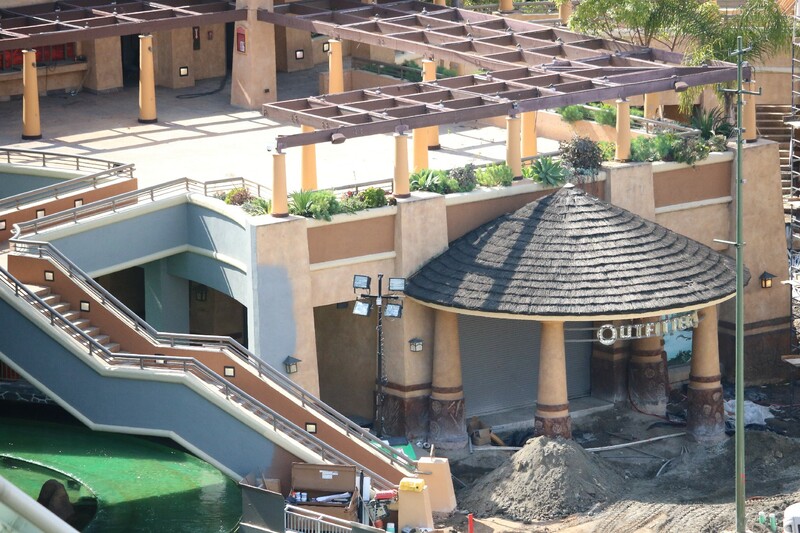 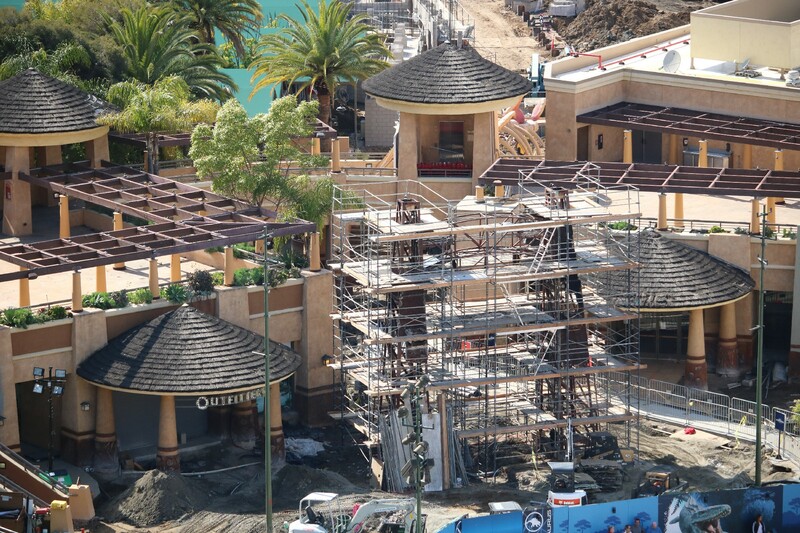 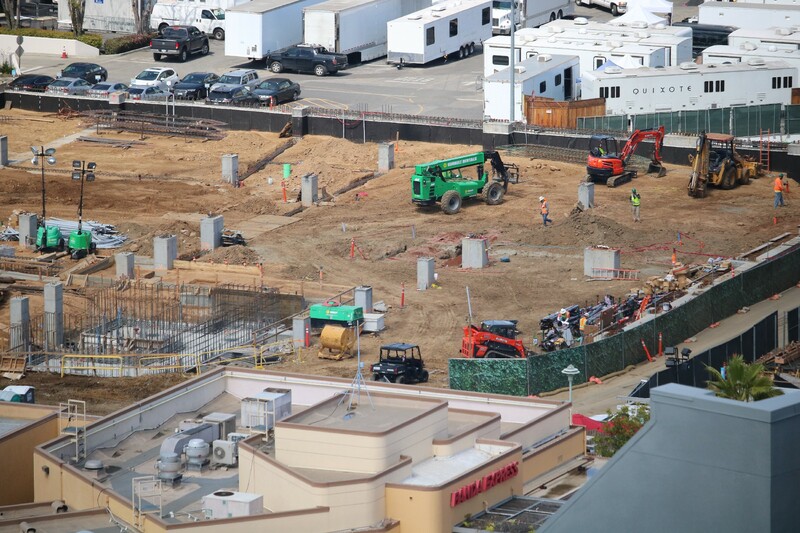 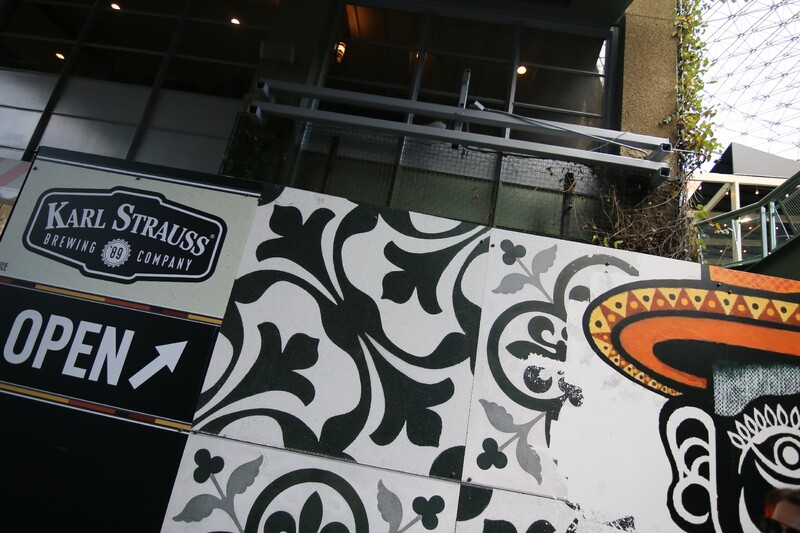 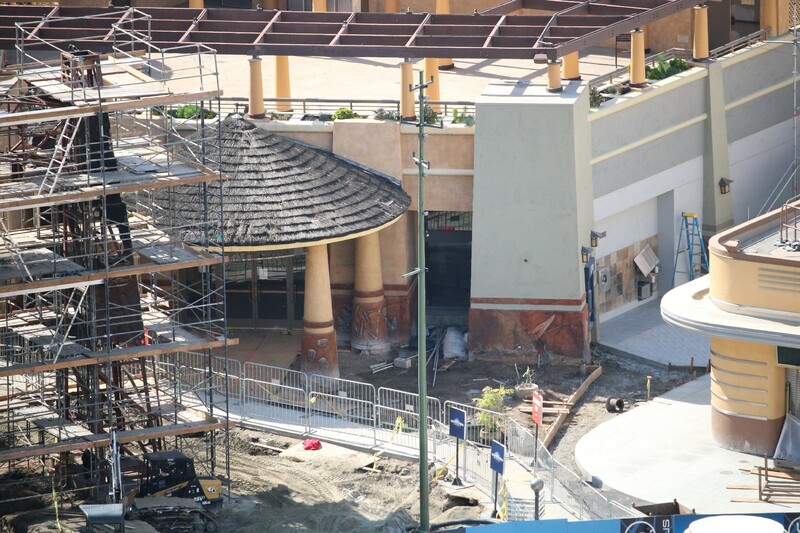 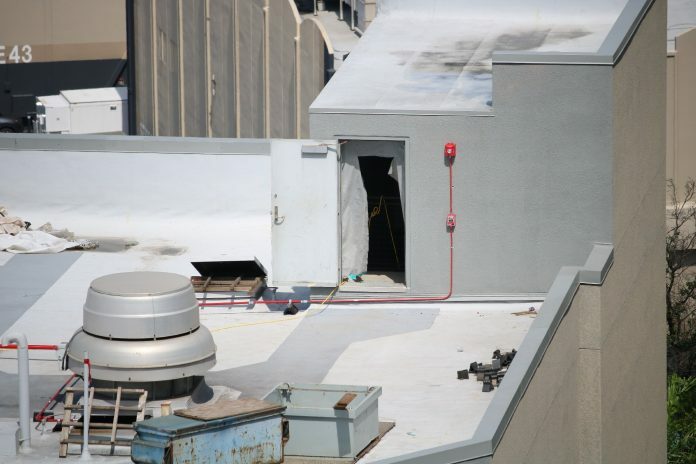 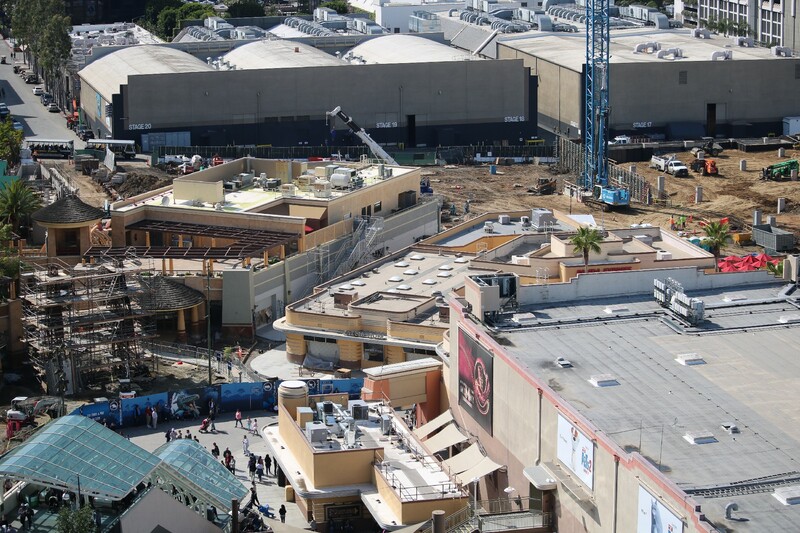 Construction progress still is hidden from public view at the future location of Antojitos. 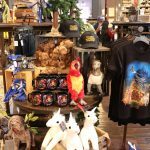 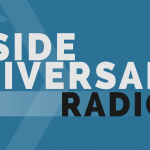 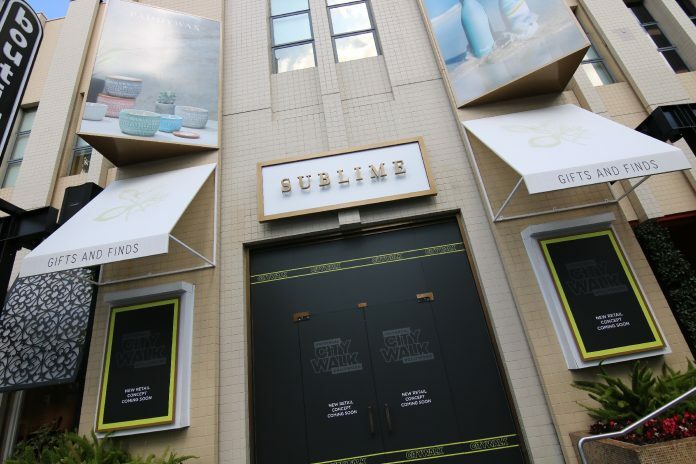 Since our most recent update, Sublime Gifts & Finds has subtly closed, now sporting the Universal CityWalk logo on the storefront. 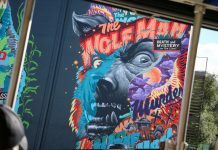 As with the Flip Flop Shop and the Element apparel store, there has been no announcement made in regard to its future replacement. 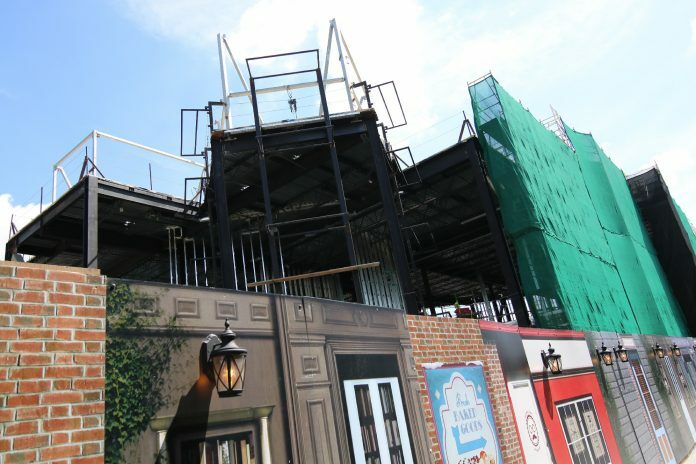 Much progress has occurred on the show building being built on the former plot of the Globe Theatre and half of Baker Street. 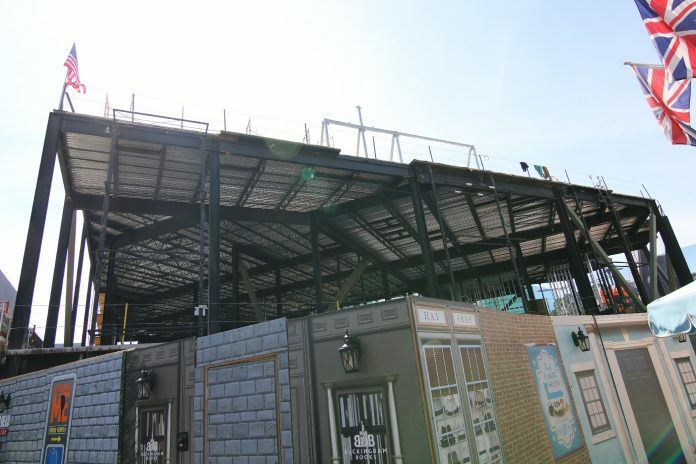 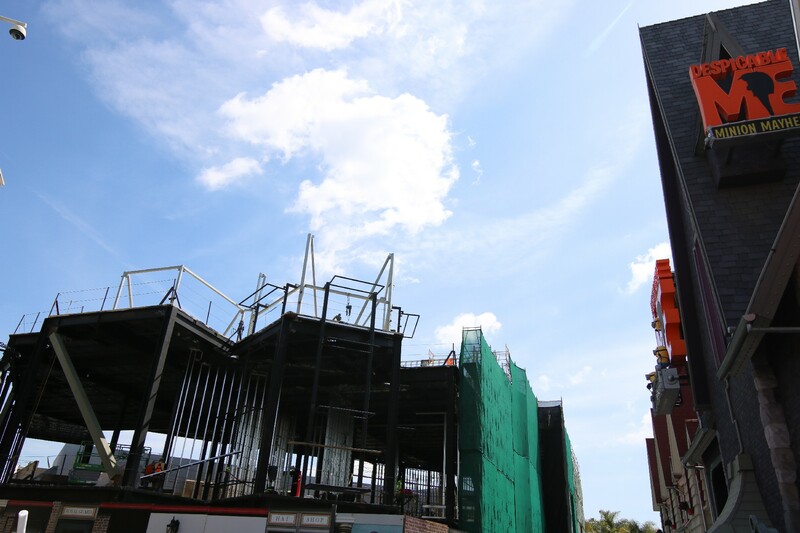 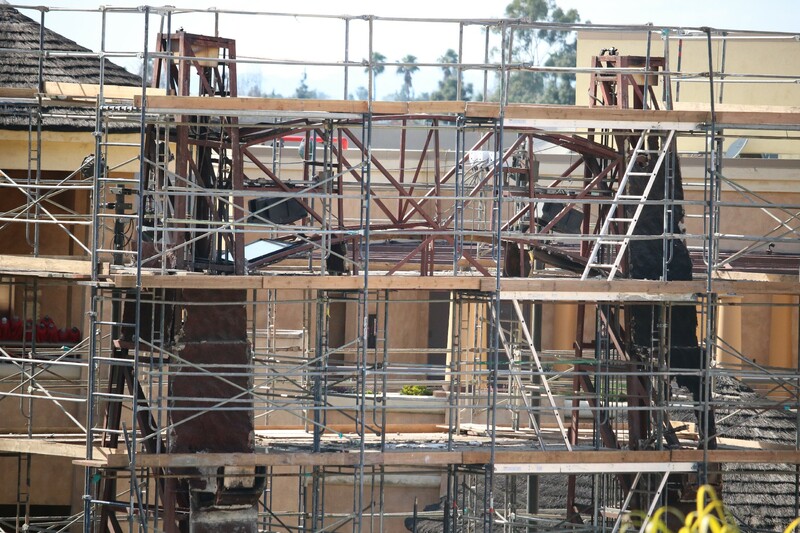 Beams continue to go up as roofing also is installed across much of the oddly-shaped building. 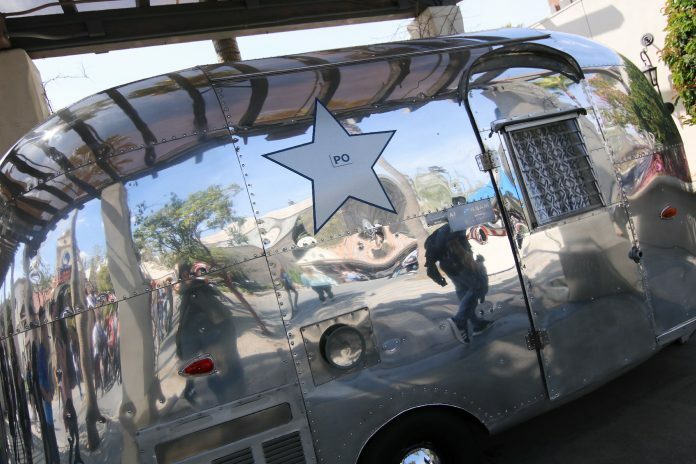 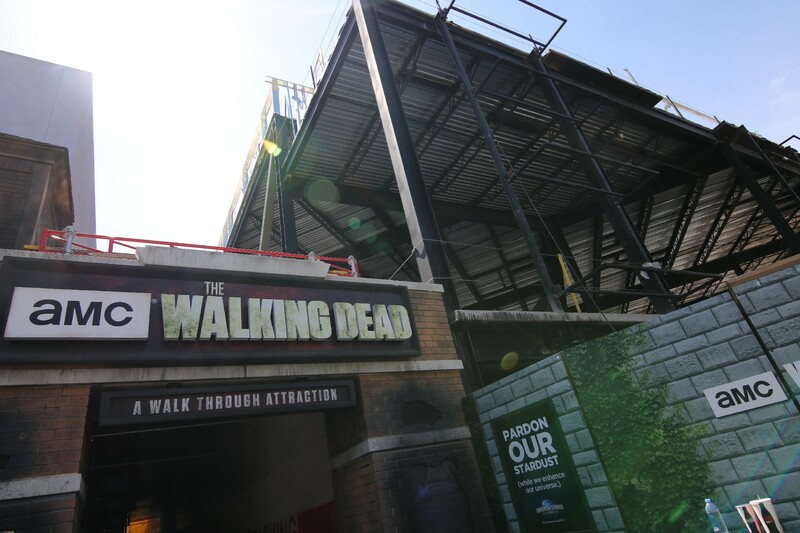 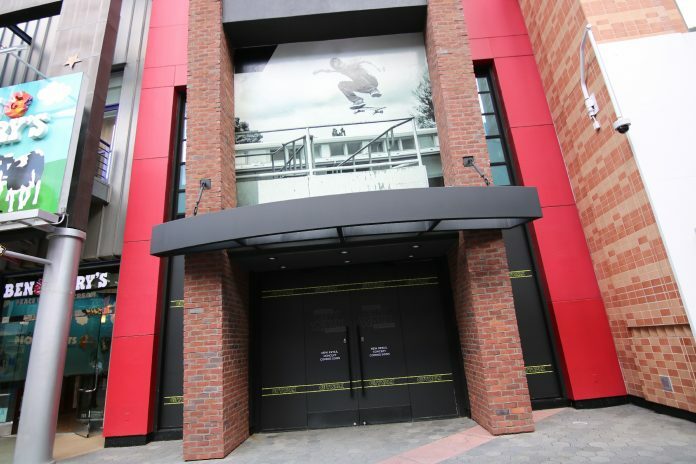 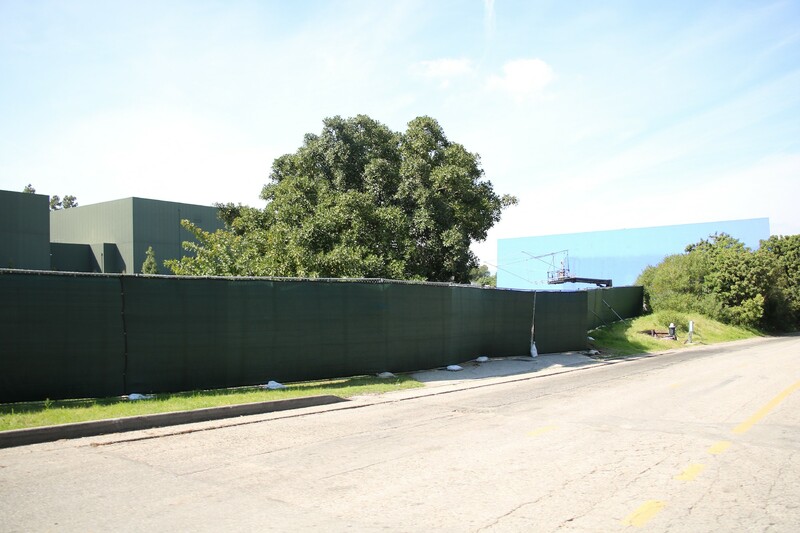 Still, the attraction that the show building belongs to remains unannounced to the public. 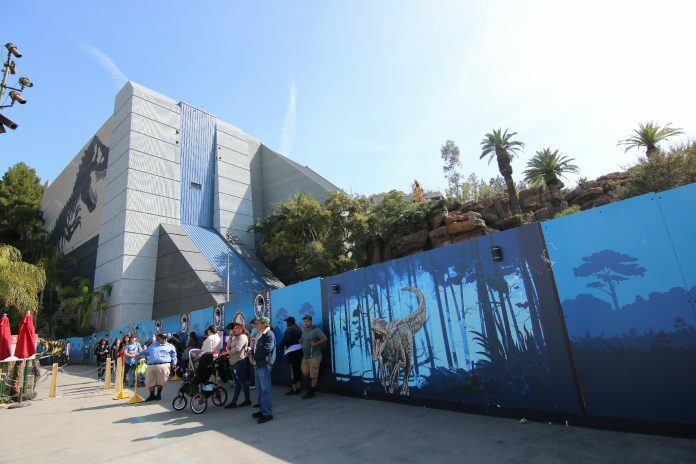 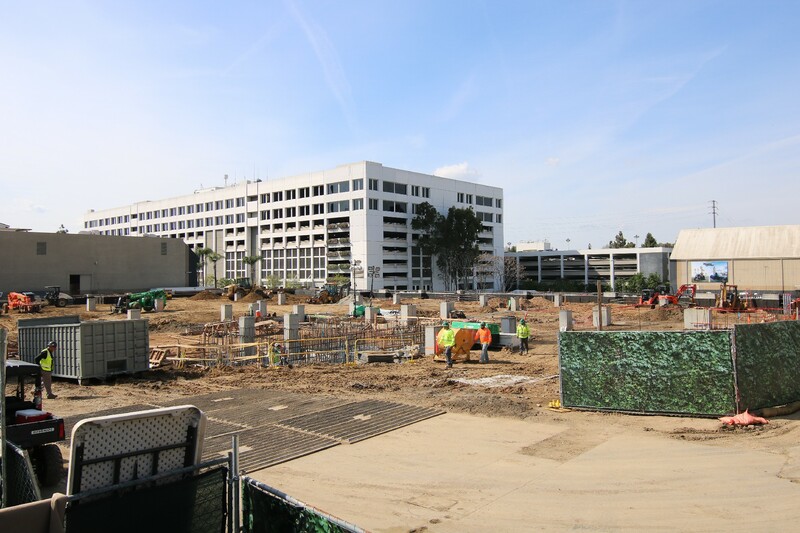 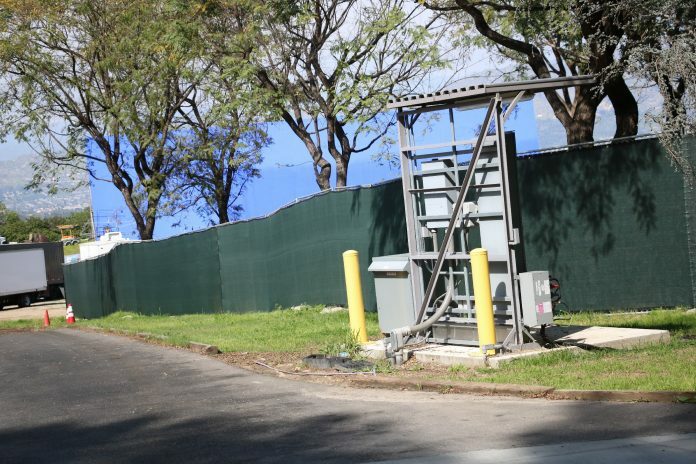 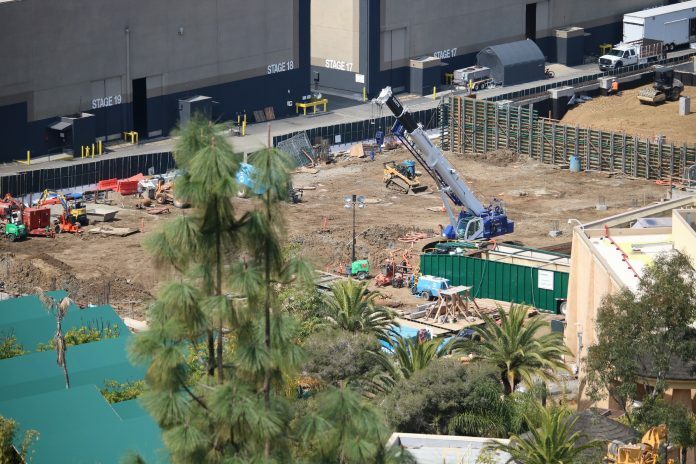 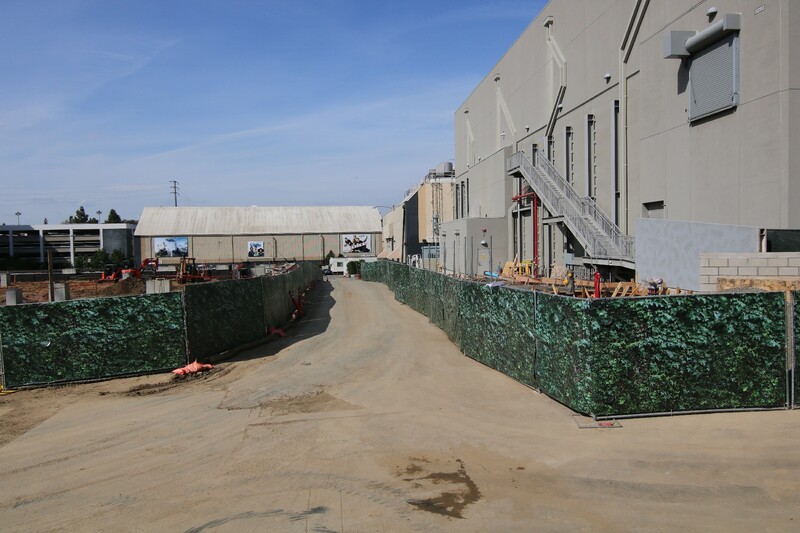 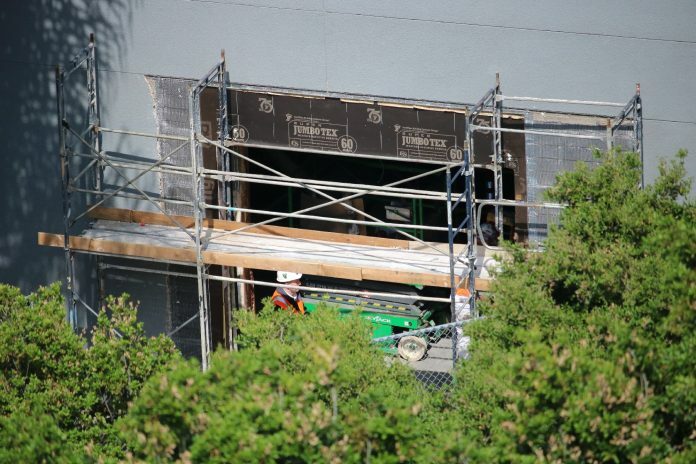 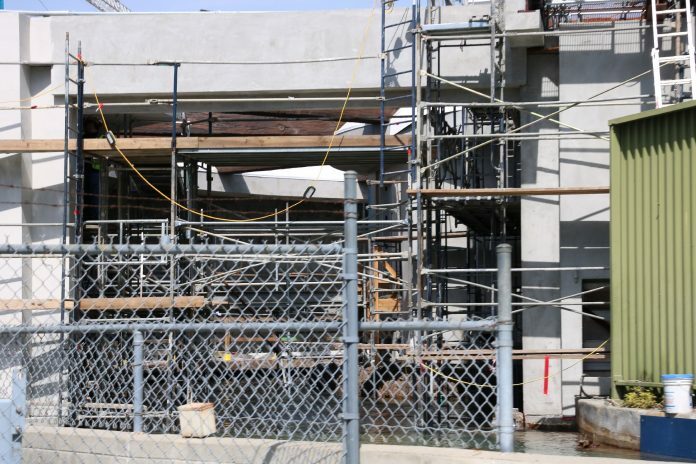 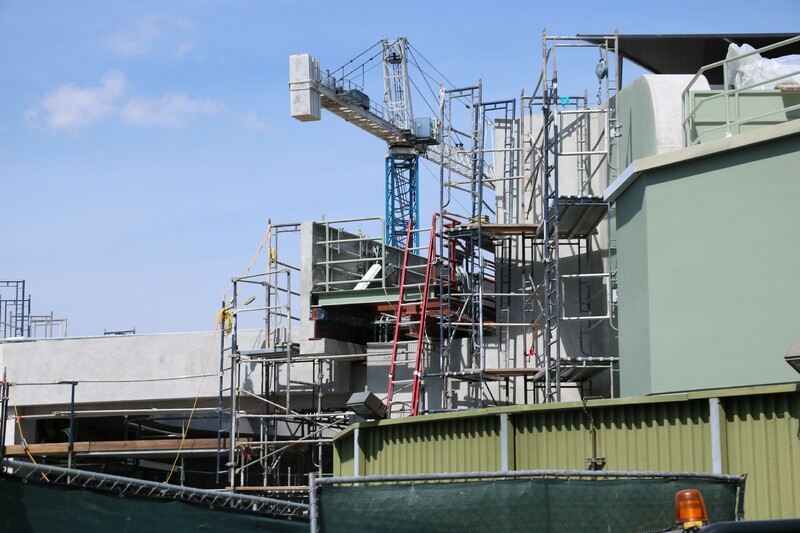 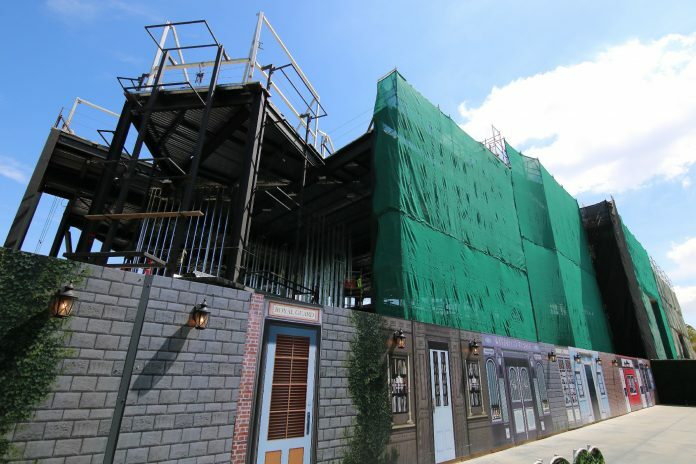 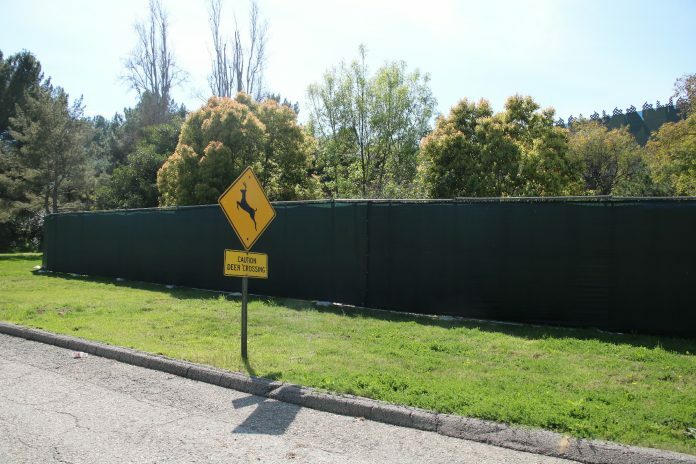 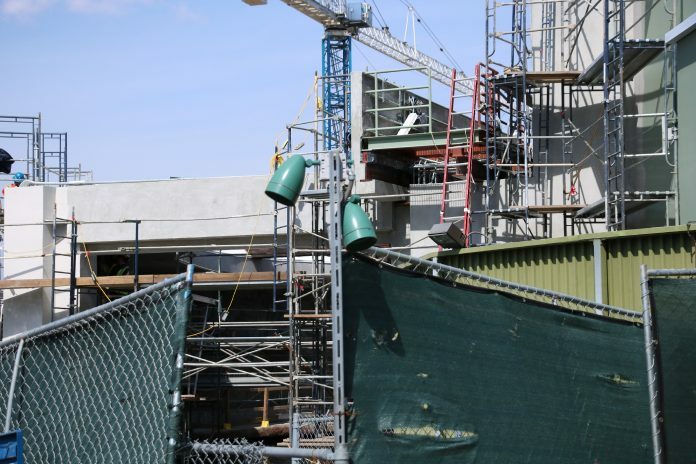 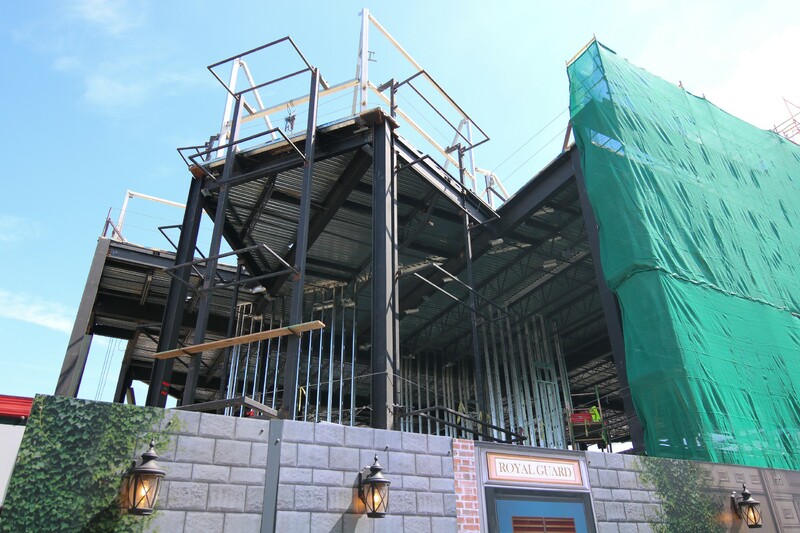 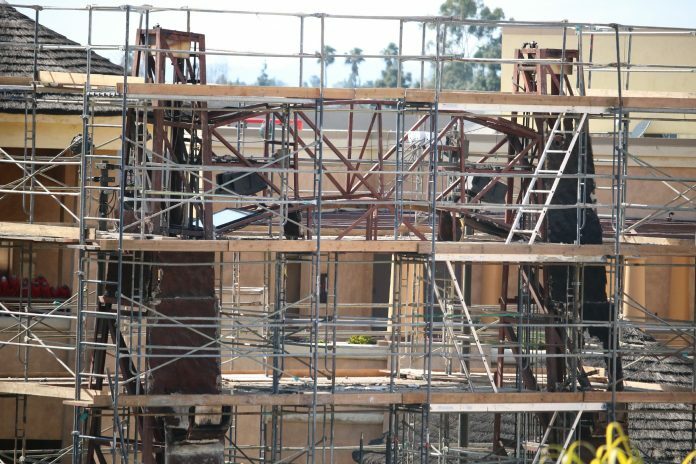 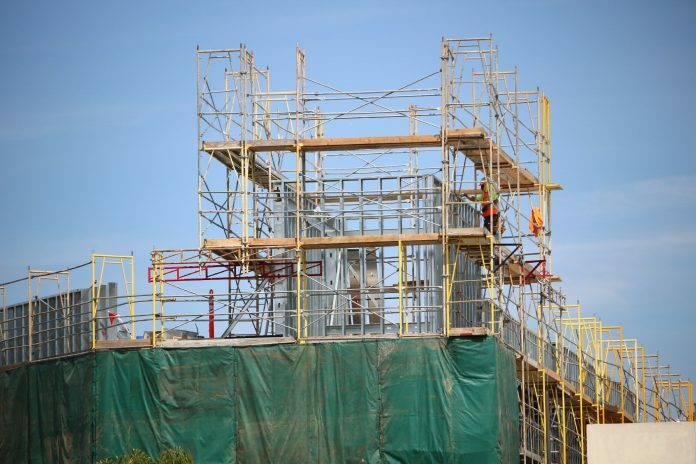 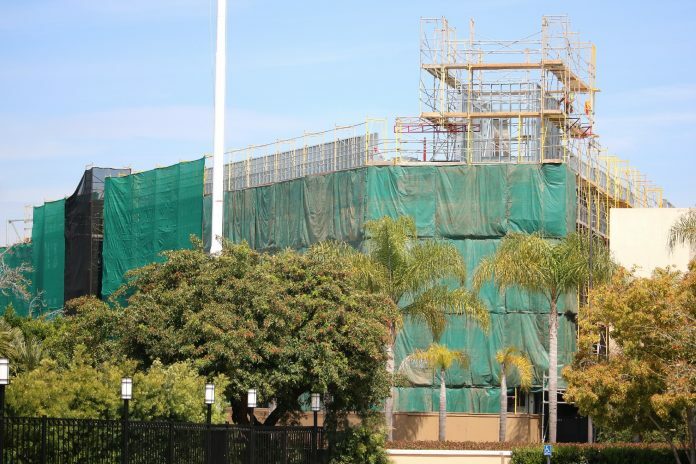 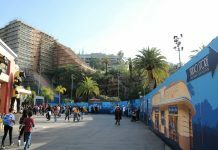 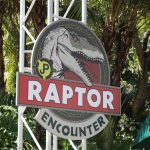 As the summer approaches, construction continues to move at a rapid rate on the transformation of Jurassic Park: The Ride into Jurassic World: The Ride – the attraction’s recently-announced official name. 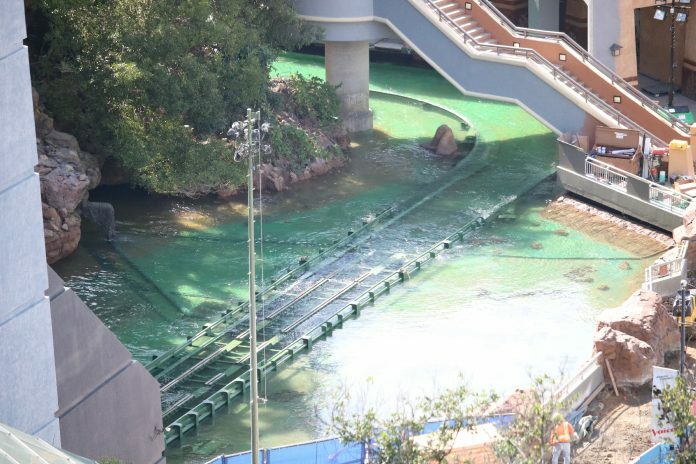 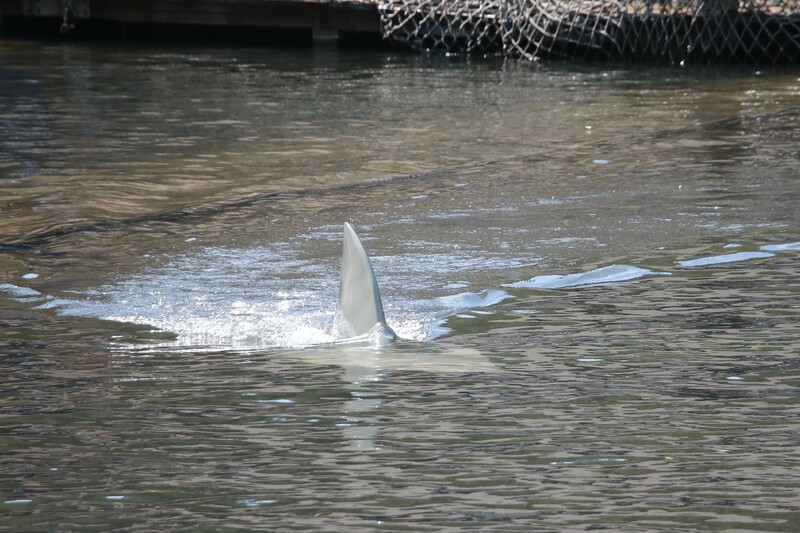 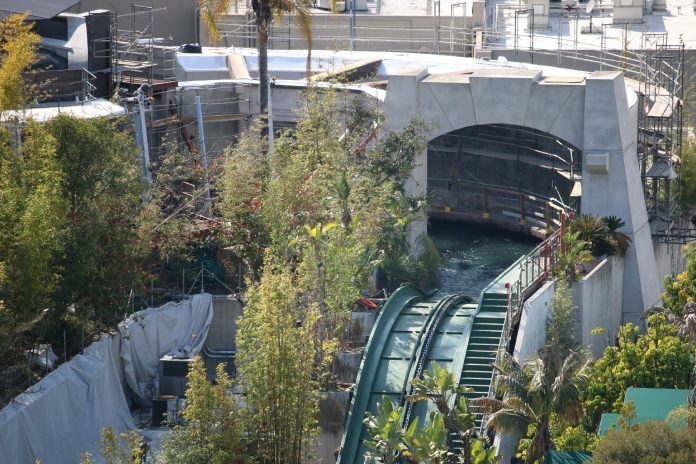 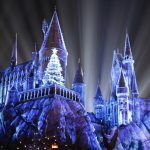 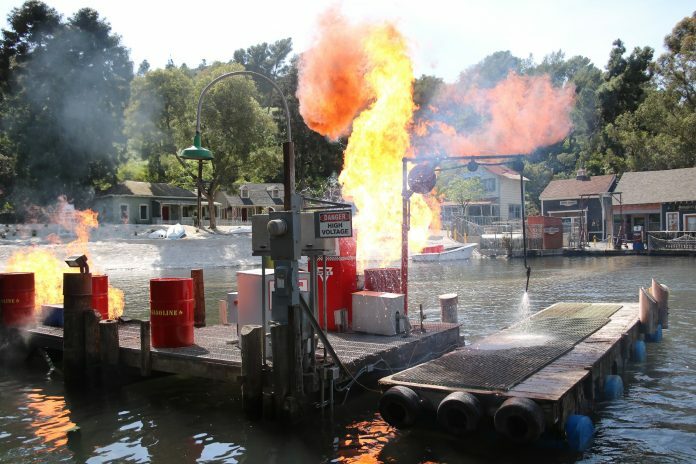 Water now runs through the entire length of the attraction visible from public view as rumors of test runs have arisen among fans and followers of the project. 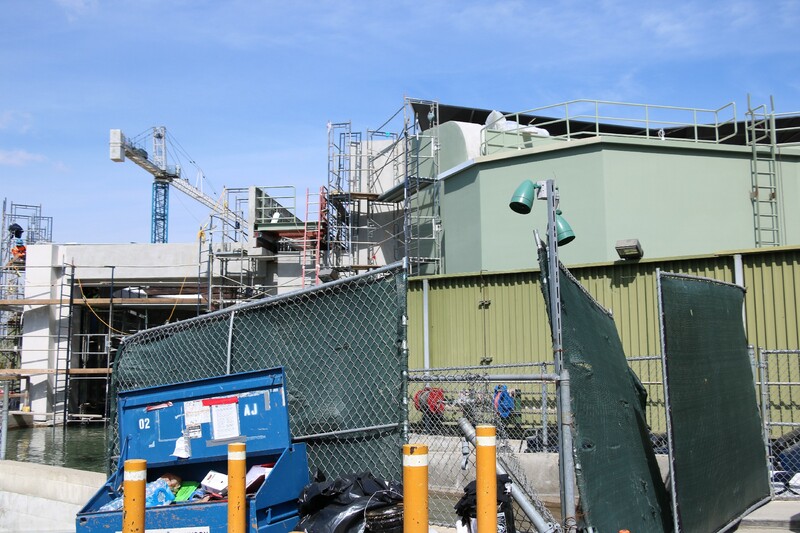 Work continues inside of the show building located just at the top of the initial lift hill as well as along the entire route of the ride. 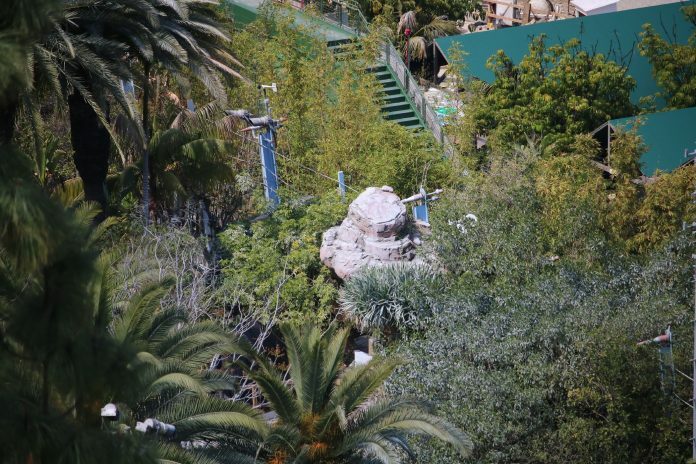 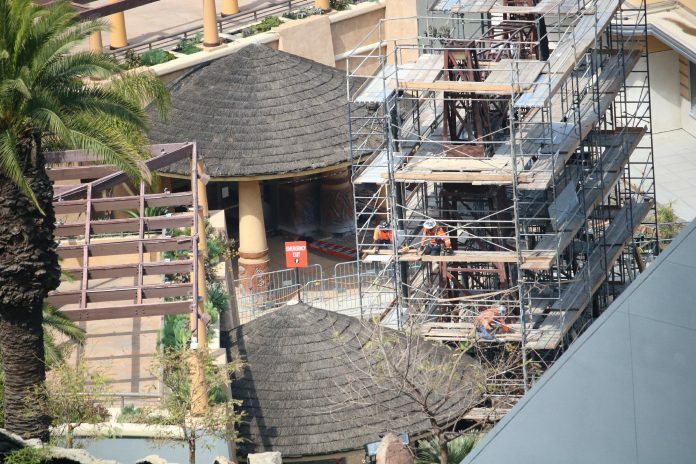 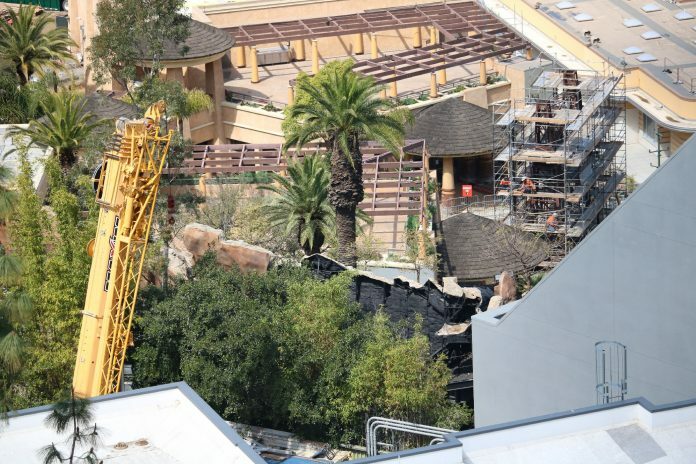 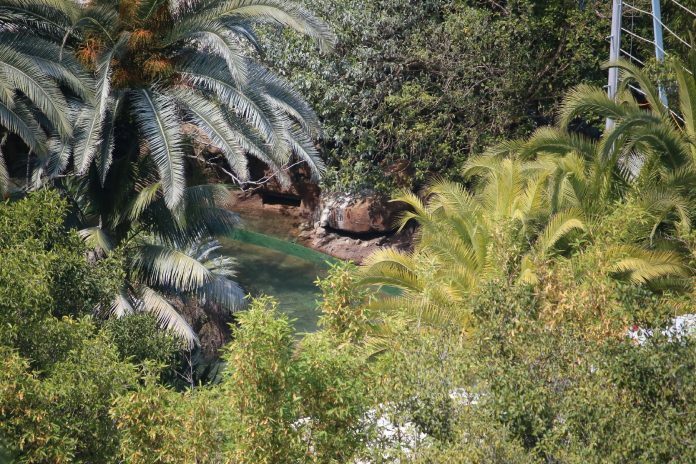 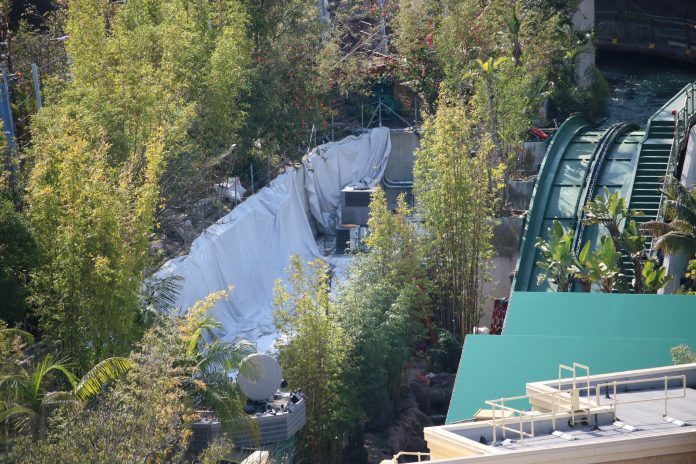 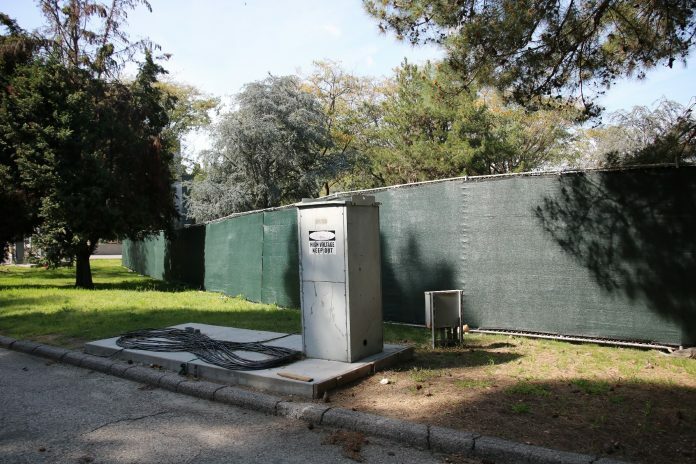 In addition, the Jurassic-themed area surrounding the attraction entrance is currently undergoing much work as a grey paint scheme gradually continues to dominate the previous browns and tans. 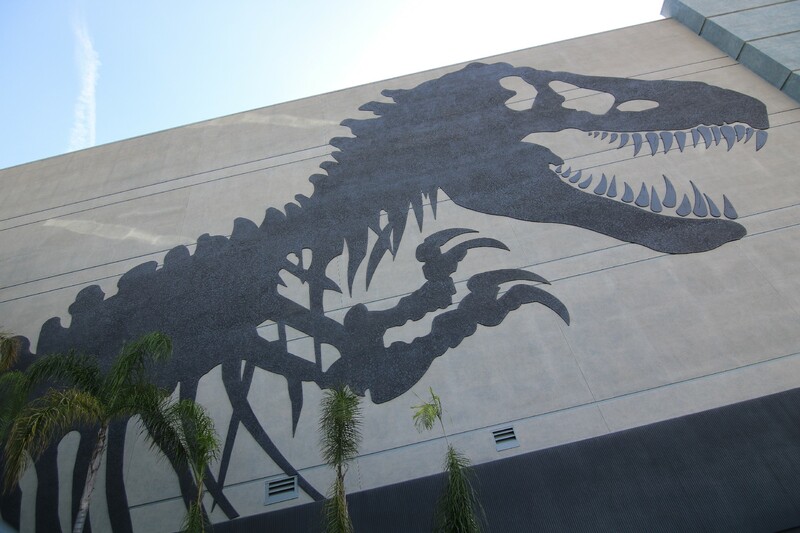 The massive mural on the side of the main show building featuring the franchise’s widely-recognized icon – the t-rex – appears to have been completed. 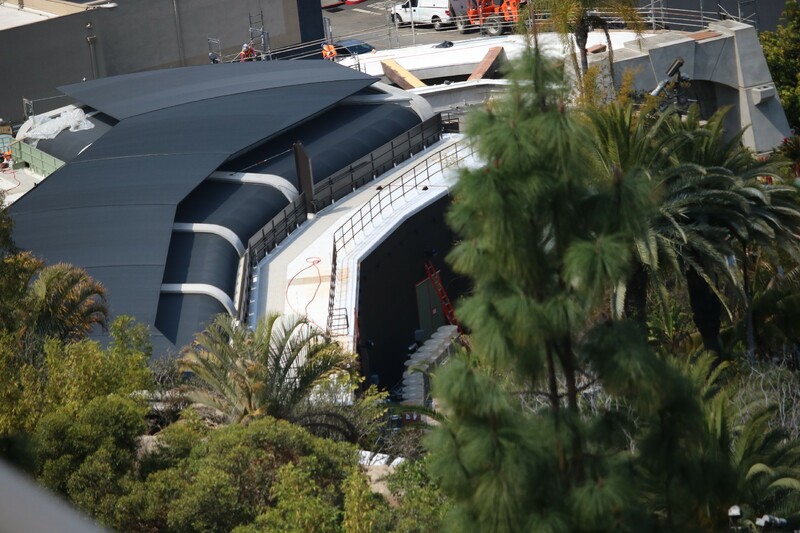 Still, perhaps one of the more substantial changes since our last update is the removal of the majority of the iconic arch marking the entrance to the attraction, leaving nothing but its framing behind. 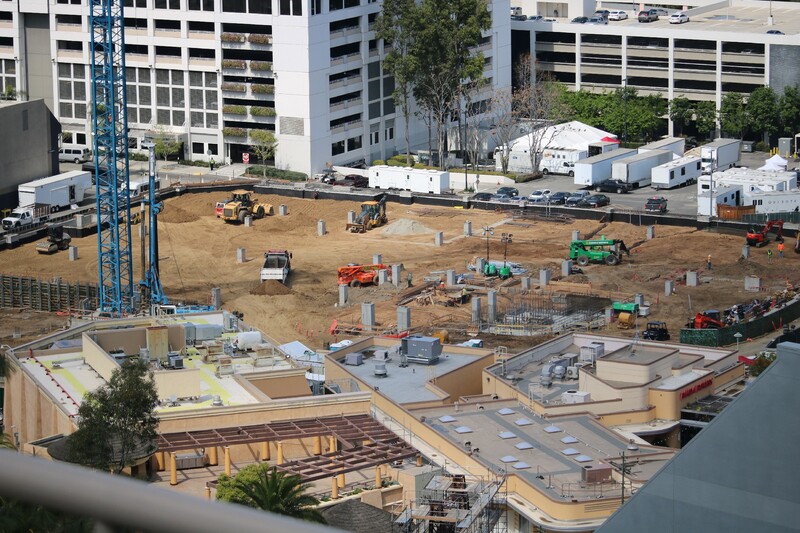 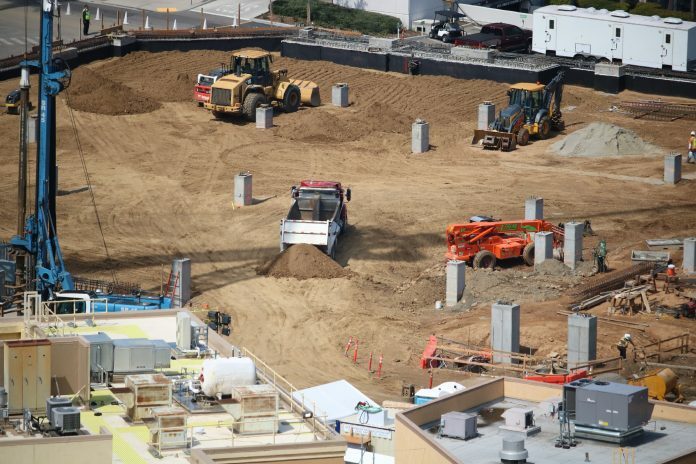 The unannounced Project 168 plot continues to develop as a foundation of dirt levels out the previously uneven land. 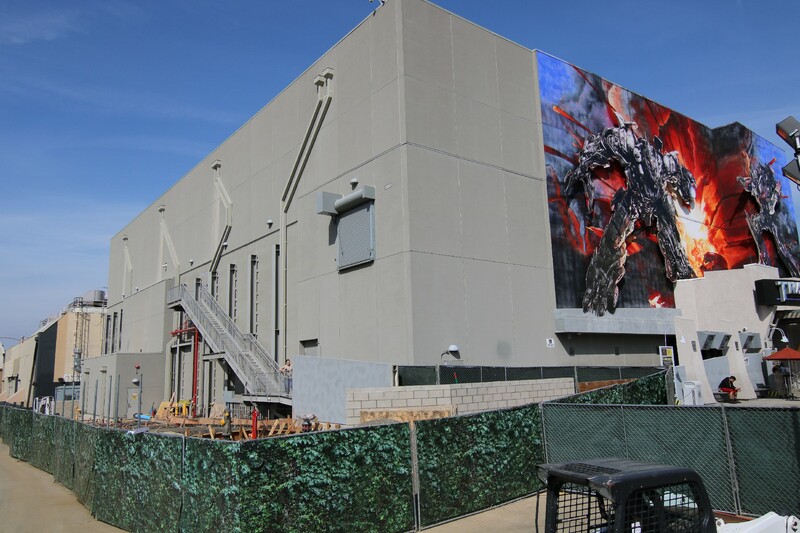 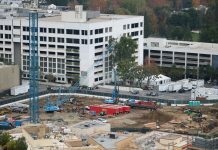 In addition, work on a new extended queue for Transformers: The Ride 3D progresses just to the left of the attraction’s show building. 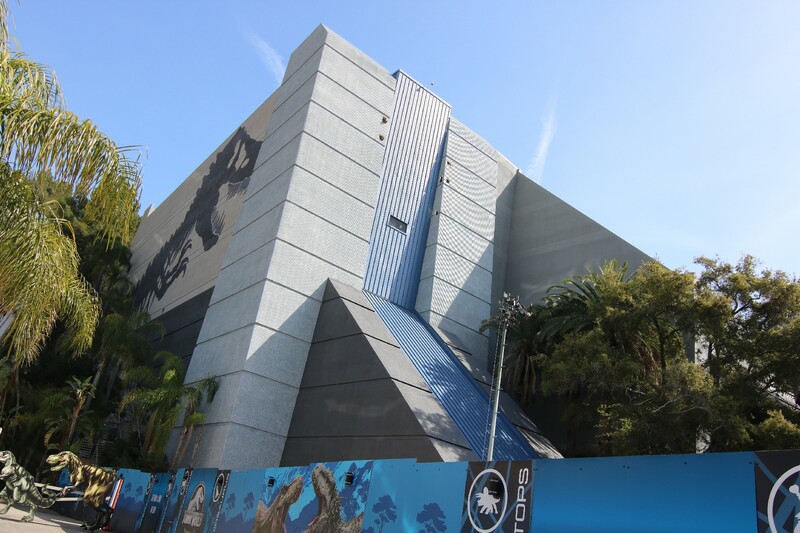 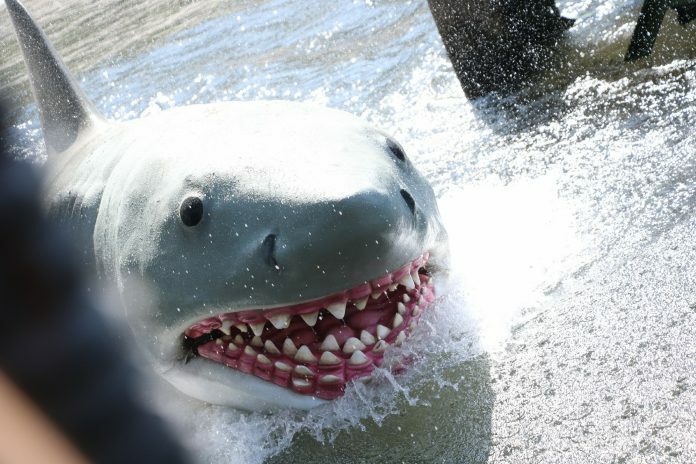 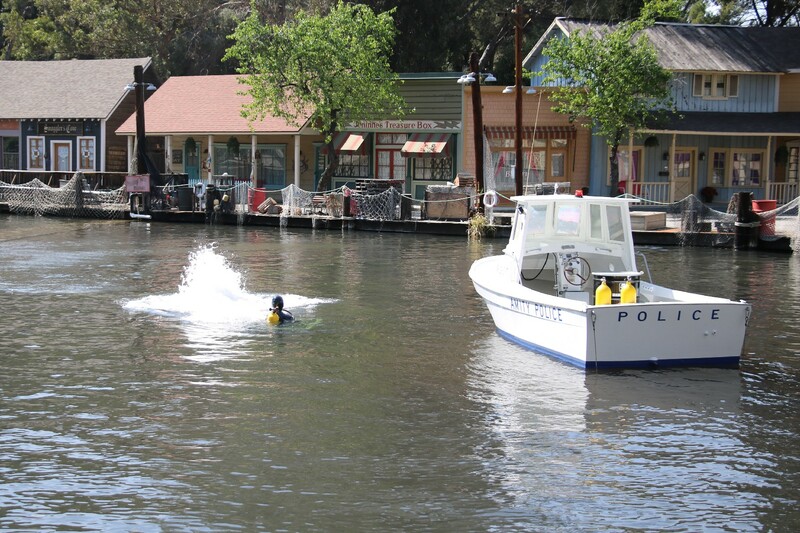 Work has concluded on the Jaws segment of the Studio Tour now reopened. 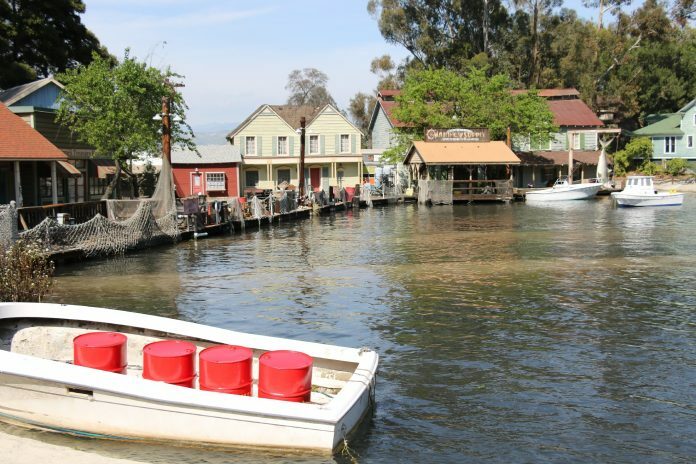 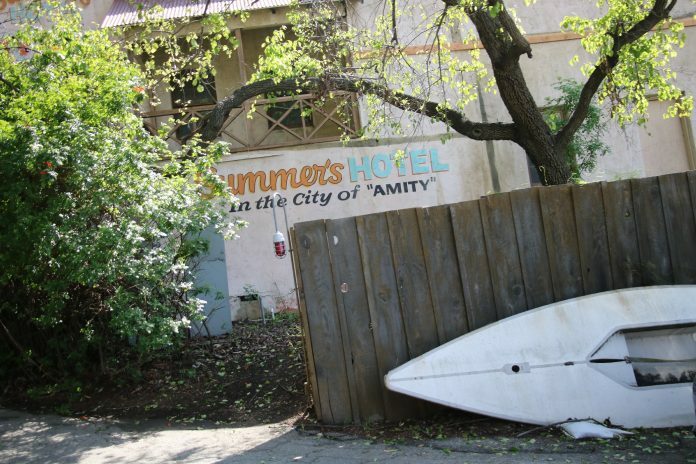 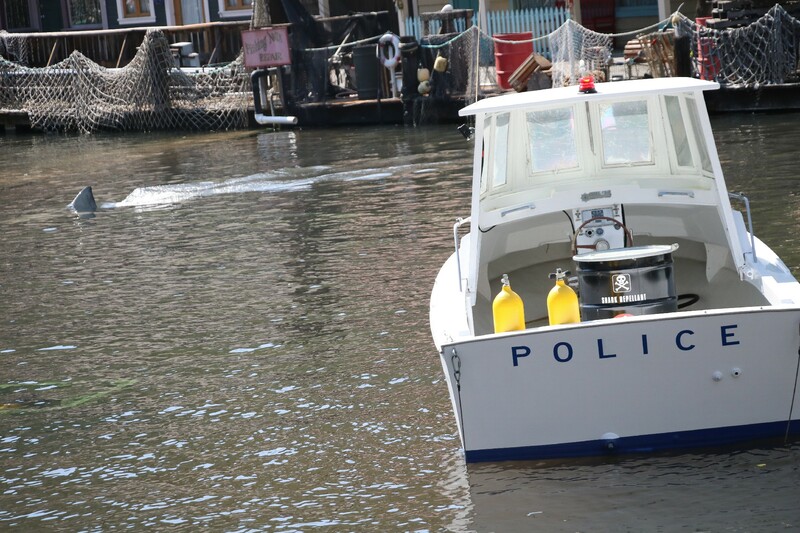 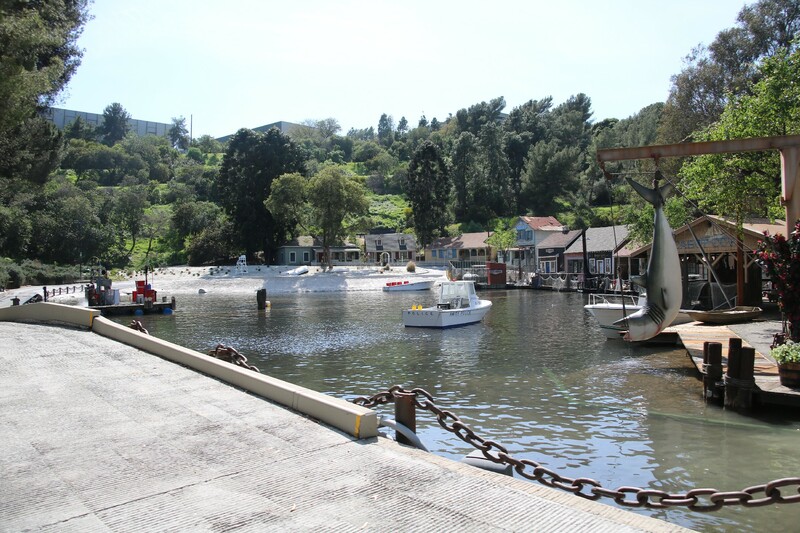 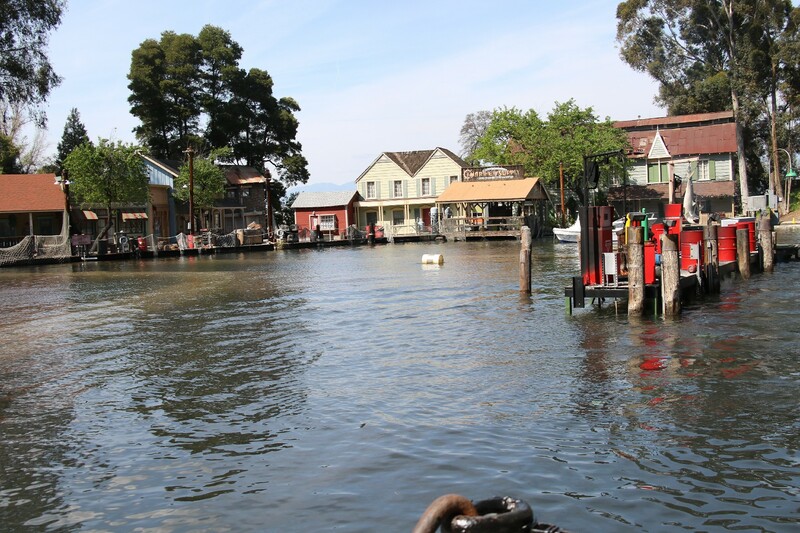 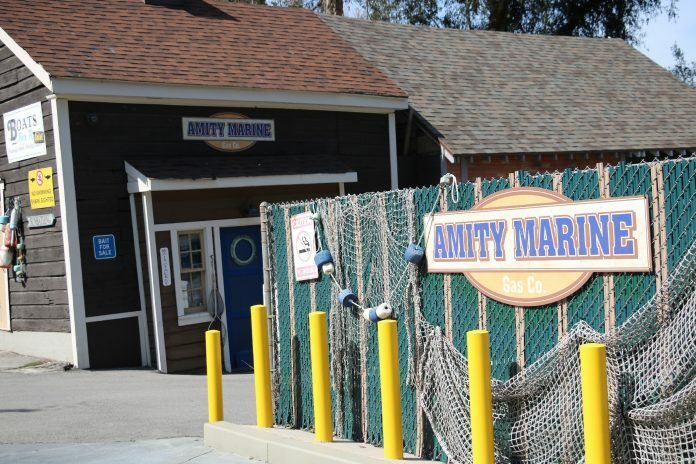 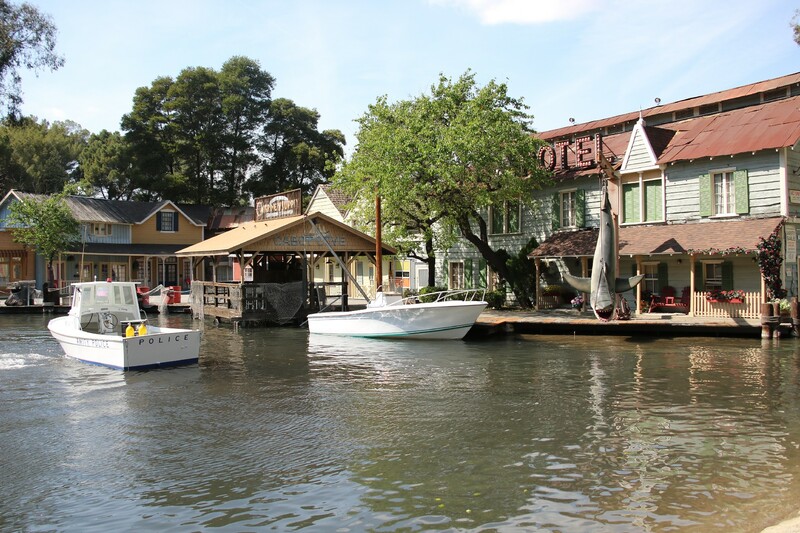 The small seaside town of Amity has received a fresh new paint job, and the effects of the attraction appear to be operating well. 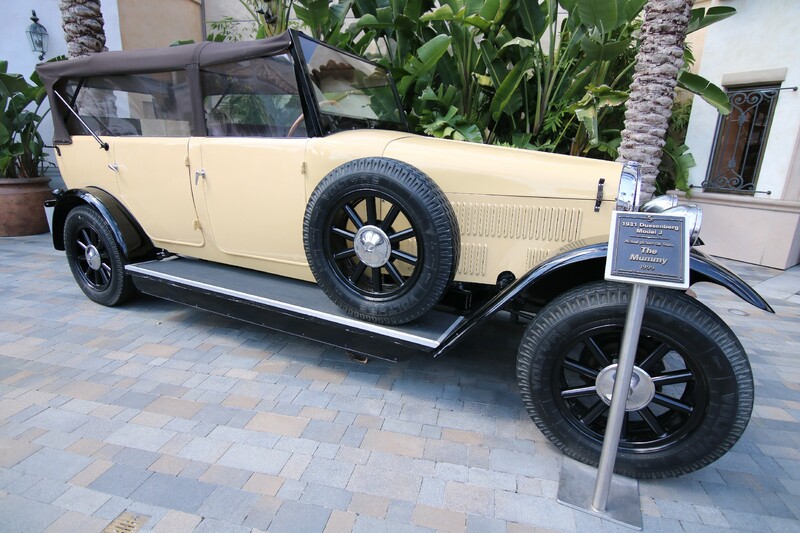 The photo-op picture car from “The Mummy” has returned to its usual location outside of the Universal Studio Store on Universal Boulevard. 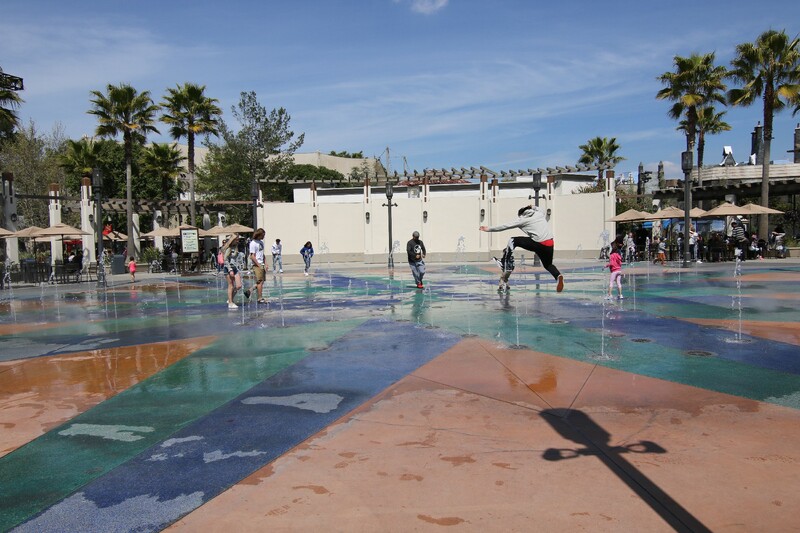 Universal Plaza has reverted back to its usual self as this year’s Lunar New Year has come to a close. 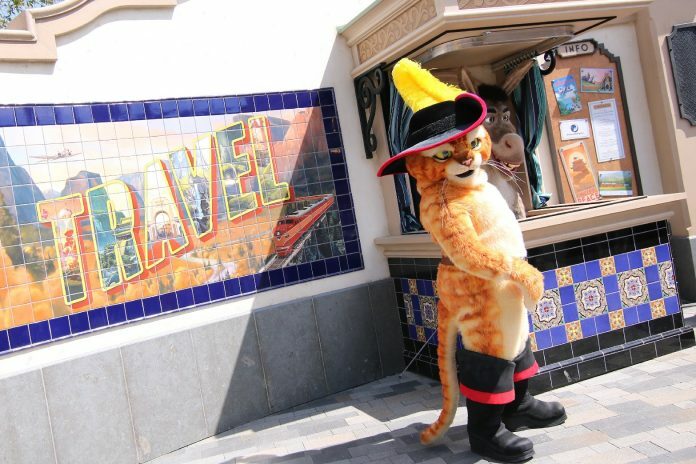 The DreamWorks character meet and greets just to the left of the entrance to the DreamWorks Theatre and across the street from the building, respectively, alternate characters randomly based on the day. 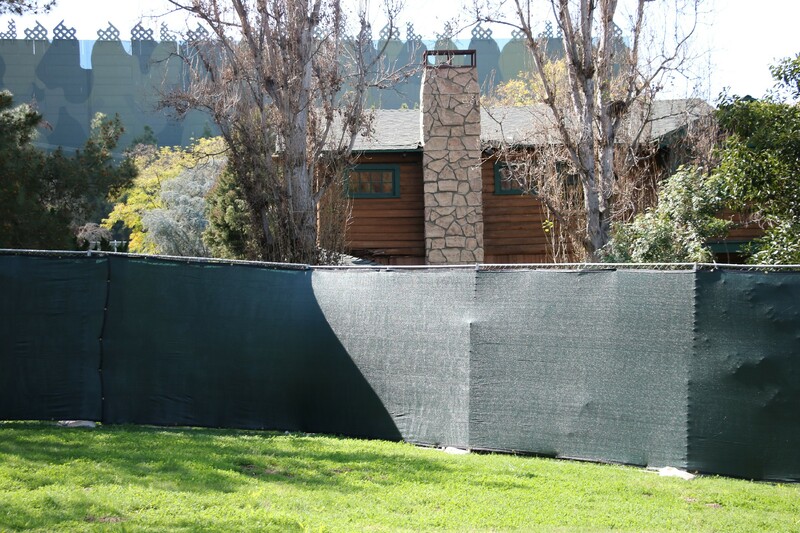 Though it could be related to a production filming on the location, walls have gone up around the entire plot of land beginning at the log cabin stretching all the way to the blue screen at Falls Lake.